Clarify your path to success with MACRA/MIPS support from LTPAC leaders. Click here to download the 2019 MIPS Quality Measures for use in LTPAC Medicine. Currently, there are no Quality Measures intentionally developed for use in the long-term/post-acute care (LTPAC) setting. While there is an initiative to develop QMs that are more reflective of the care provided in LTPAC, significant changes are not expected any time soon. 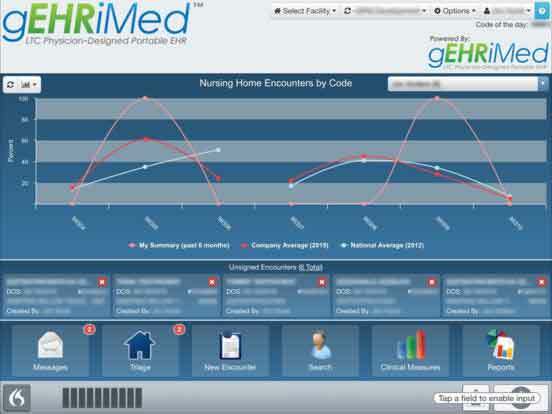 To reduce the burden on practitioners, GEHRIMED will continue to curate an annual overview of CMS approved QMs for use in Nursing Facilities, Homecare, Assisted Living, and related places of service. As the stakes get higher and the program increases in complexity, GEHRIMED has made MIPS as easy to understand as possible. Picking the best strategy for your practice can be confusing. We understand that every practice has an optimum participation pace, and we will provide MACRA/MIPS support that helps you become more successful at reporting quality and obtaining the highest scores under the MIPS program. From avoiding penalties, to earning incentives, we’re here to help. MIPS is complicated. We make it easier. Navigating MIPS can be stressful, even if you’re a seasoned LTPAC practitioner. Here are some basics to get you started. The Merit-Based Incentive Payment System (MIPS) program leverages and augments PQRS, Value-Based Modifier (VBM) and Meaningful Use requirements into a cohesive program. MIPS will also include the introduction of a new reporting category, Improvement Activities. When will the payment adjustments from MIPS begin? The payment adjustments will begin in 2020; however, the payment adjustment schedule will be based on 2018 performance scores (scores will be positive, zero, or negative). How is the budget supported for MIPS? MIPS is a budget-neutral program. The incentives are funded by the penalties incurred by other eligible clinicians. What are the MIPS Components and Weights? MIPS will become increasingly more difficult in the subsequent years. While Improvement Activities and Advancing Care information weights remain constant, Quality decreases and Resource Use weight increases significantly over time. What is the Advancing Care Information (ACI) hardship exemption? If clinicians face significant hardship and are unable to report ACI measures, they can apply to have their ACI performance category score weighted to zero. However, doing so will increase the Quality component weight from 50% to 75%. Are the MIPS performance scores made publically available? Yes. The MIPS Eligible Clinician’s performance scores are publicly available on the CMS Physician Compare website. What are the requirements for end-to-end electronic reporting? Use a CEHRT to recorded the measure’s demographic and clinical data elements. Export and transmit the measure data electronically to a third party. The third party, such as a registry, uses automated software to aggregate the measure data, calculate measures, perform any filtering of measurement data, and submit the data electronically to CMS. GEHRIMED is both a Qualified Registry and a QCDR. Join GEHRIMED as we walk you through a better understanding of the proposed MIPS changes and share LTPAC-specific insights.